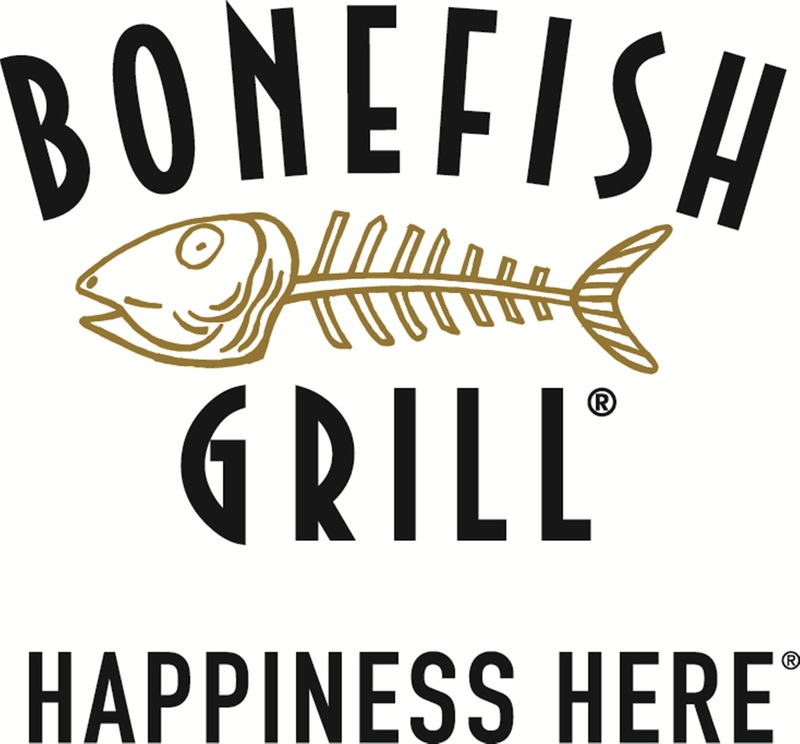 I was excited when I got the chance to do this review as I had never been to the Bonefish Grill. I am not a fan of fish really so we ordered a few different things that were available that didn't contain fish. We went in with open minds and came out with mixed feelings. I am here to tell you why. When we first arrived we could see there was open tables on the floor but were told none were available and had to sit in waiting. About 5-10 mins later we were led to a table half booth half chairs. If you have any sort of chest you won't fit in the booth seat unless you are taller that 5ft 8in so that they are above not at level to the table. 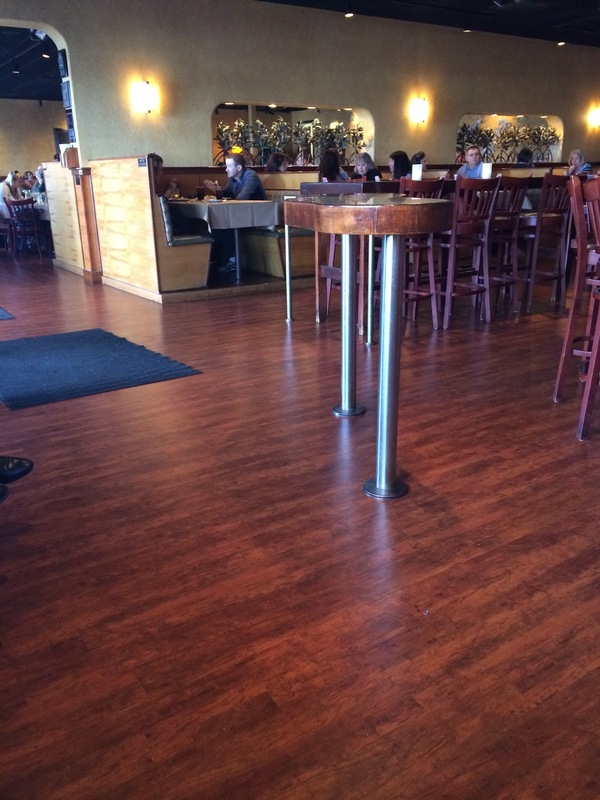 We had a long wait for our food and I noticed the tables were covered in brown paper. I had never been to a restaurant that had done that and I had the urge to draw on the paper but had no pen with which to draw. So we put our minds to looking around. 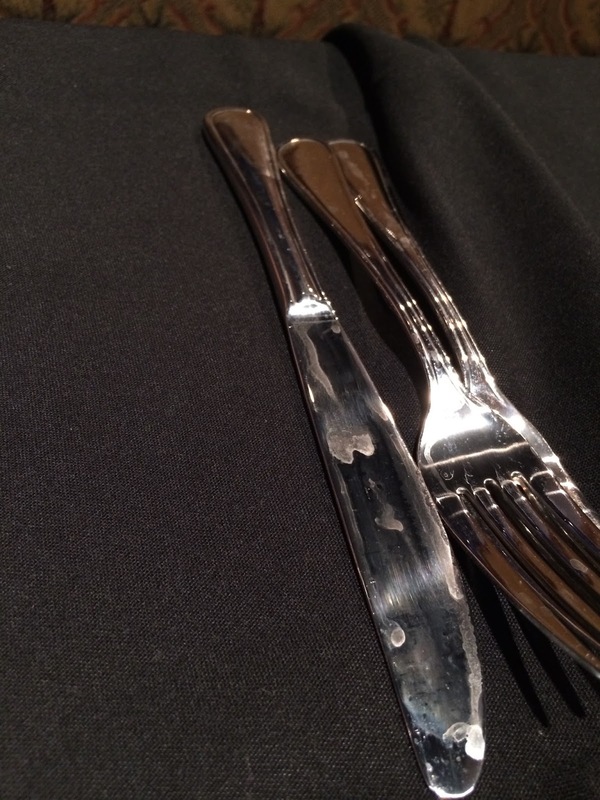 When we opened the silverware rolls we found things we were not pleased with. 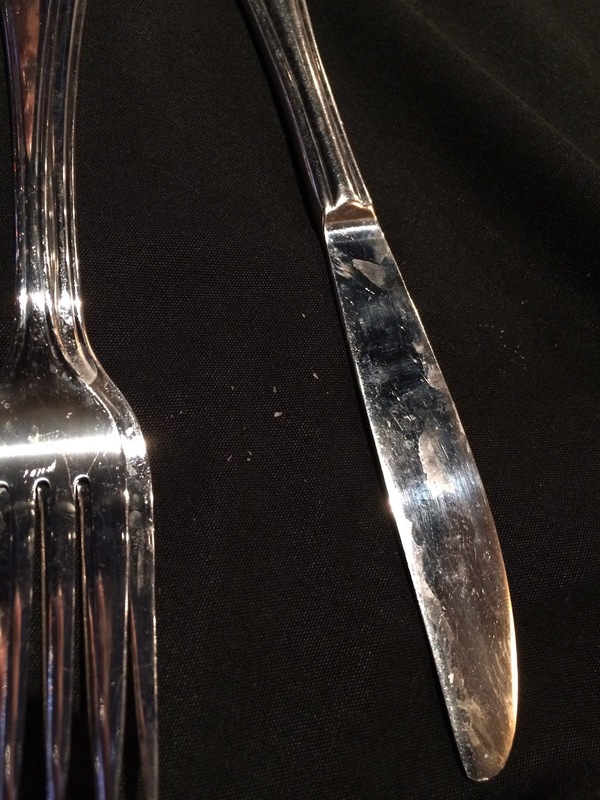 There was food encrusted on each set of silverware and even crumbs in the napkin. We asked for another set and the next set had similar issues. 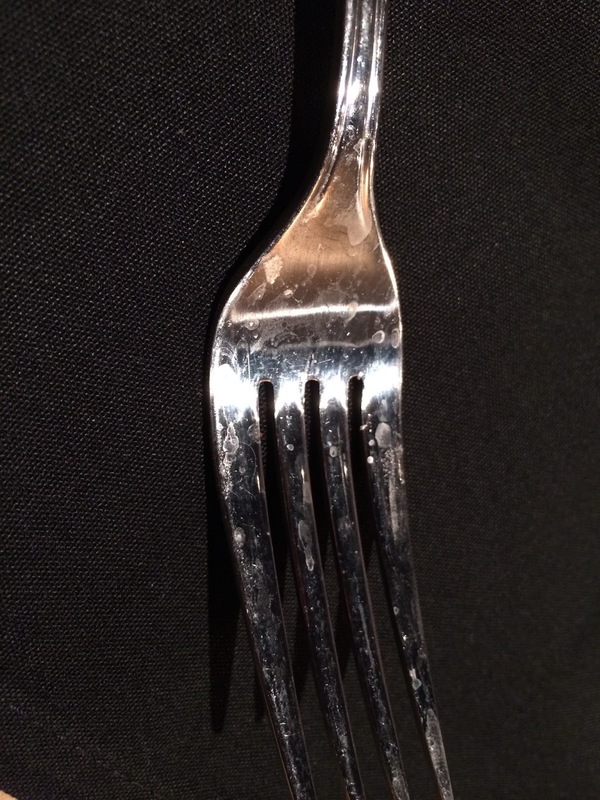 Out of 8 forks and 4 knives we ended up with 2 clean forks. 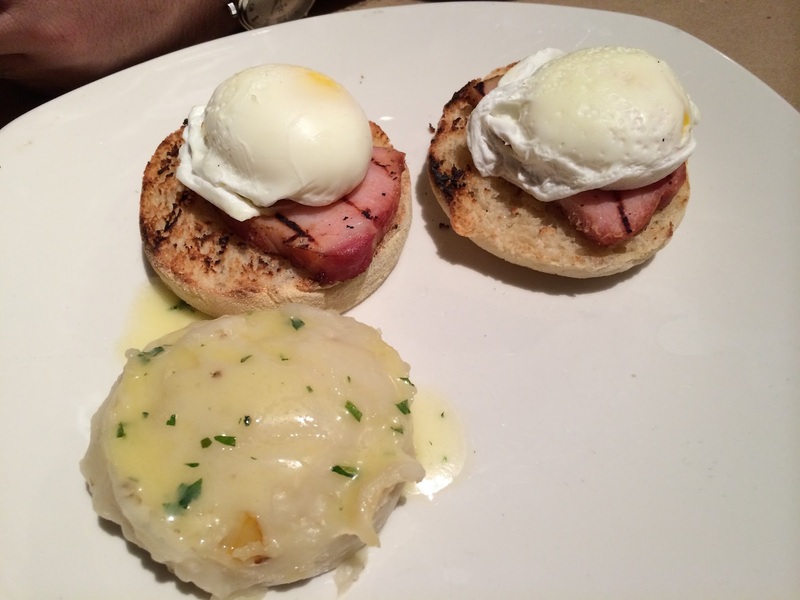 The eggs benedict came with garlic mashed potatoes. The presentation was cute and I tried a bite of this as well and it tasted good. I had never had eggs benedict before. 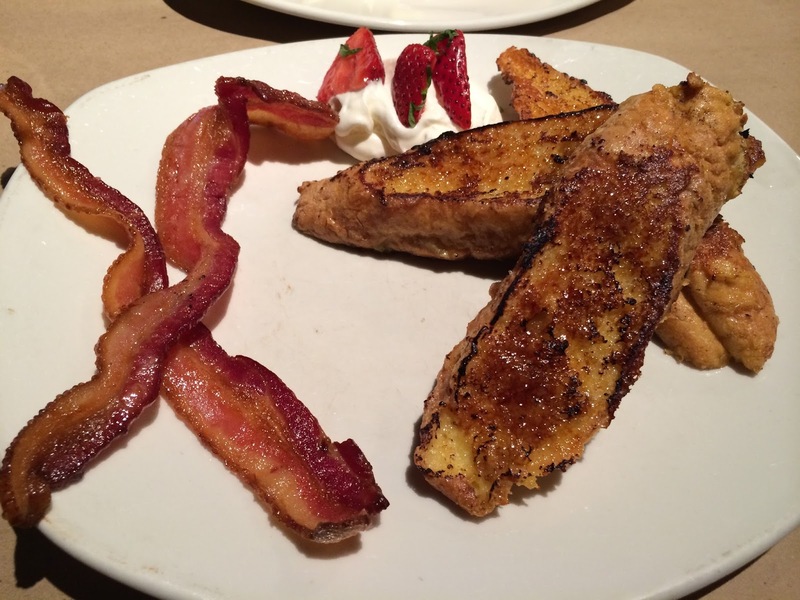 This is my french toast, it came with bacon and cream on the side with strawberries. This appears to be made with actually french bread and not toast like is common. I really loved the taste of this but there was so little to each meal and these were around $20 together. 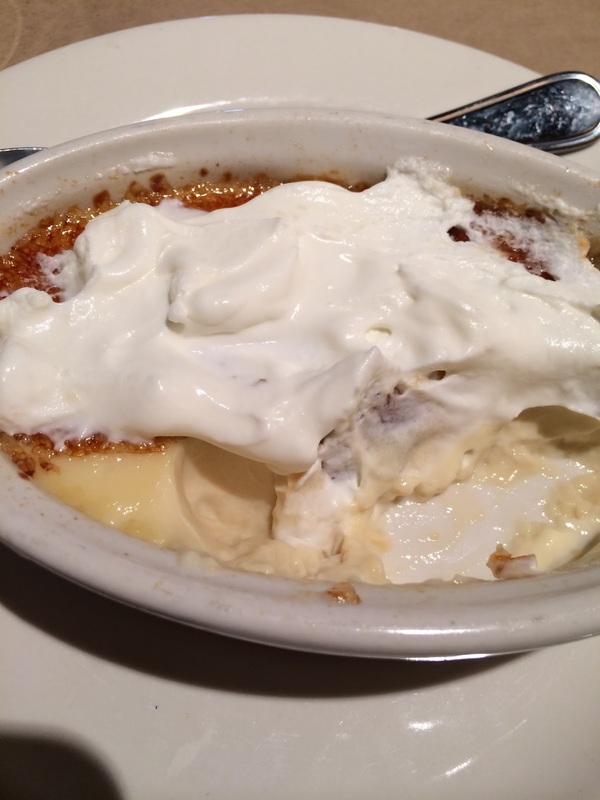 To finish off the $25 for the review I ordered a Vanilla Creme brulee and it was yummy! I didn't take a picture of it before I started eating it as I was too excited. I found a picture that looks just like it which you can see here and another reviewers point of veiw on bonefish. This is what it looked like after I spread the cream around and realized I hadn't taken a picture. This was the first time I had tried something like this. The crust left a bad after taste for me and the old man said that the crust was traditionally done with rum and I don't like alcohol so it makes since I didn't like it so I pulled it off and ate everything else. We were surprised when we were told the manager was going to comp the dessert because the wait we had for our food. They didn't know we were doing a review until after we went to pay because the card gave it away. The building was maintained well and was beautiful to look at. While it was nice to go somewhere I have never been we won't be returning. The cost to us and the portions combined with the limited menu (for someone as picky as me) its just not a place for us. We went and did ours for dinner and had a pretty good experience. I specifically didn't want to do the brunch because of some of the issues with like you mentioned with limited selection and portions.